This environmentally friendly danger safety sign is 100% recyclable as a number two plastic. 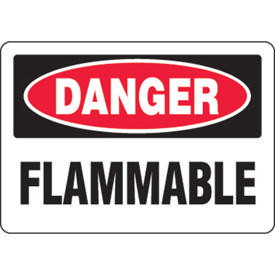 Made from high-density post-consumer recycled (PCR) polyethylene with UV-inhibitors, this danger sign is an important reminder in any laboratory setting. Chemically resistant to solvents, acids, and alkalis, this sign has outstanding durability. It’s perfect for indoor or outdoor use for up to three years. The sign has 3/16" mounting holes for easy hanging.